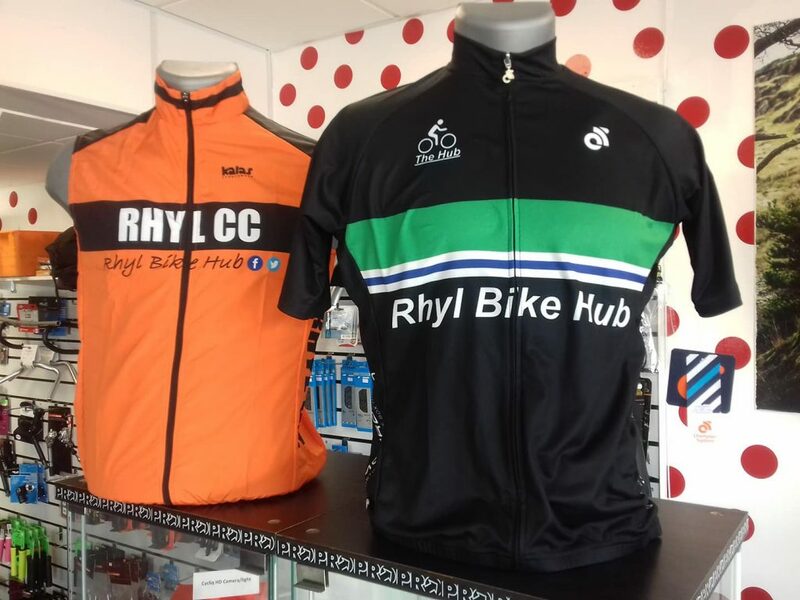 The Bike Hub and Co Options Social Enterprise Ltd are pleased to Sponsor Rhyl Cycling Club. Rhyl Cycling Club Junior section meet every Sunday at Marsh Tracks in Rhyl. They really welcome new juniors to there Sunday Cycling sessions between 9.30am – 10.30am at the 1.25 km Marsh Road circuit in Rhyl ( LL18 2AD) every week. There are always at least two separate groups for younger and older riders between the ages of 6 and 17. A lot of fun is had and Mums and Dad’s are encouraged to stay and view what they do, but please keep behind the barriers whilst the session takes place. There is a charge of £2 per junior, this includes use of a road bike (there is a large and varied stock available on site) and helmet if needed, plus advice from our British Cycling qualified coaches. Rhyl Cycling Club are one of the few clubs in Wales who are Go-Ride Accredited, and the very first in the whole of Wales. This means we meet the highest standards in how the club is run for juniors. Recently Rhyl Junior Finley Douglas won the prestigious U14’s Welsh Circuit Championship’s. A great achievement for the Club and it’s dedicated team of Coaches. A Big well done to Finley from us all at The Bike Hub. Also, remember, members of Rhyl CC can take advantage of 10% OFF within The Hub as part of our Club Sponsorship. See you all soon.